Al Masjid Al Haram, the Sacred Mosque, the Great Mosque and the Grand Mosque... these are all names for the place of worship that surrounds the Holy Kaaba. Find out more about this amazing place. Millions of faithful followers gather at Al Masjid Al Haram every year for prayers and to perform Tawaf, the ritual circling of the Kaaba. 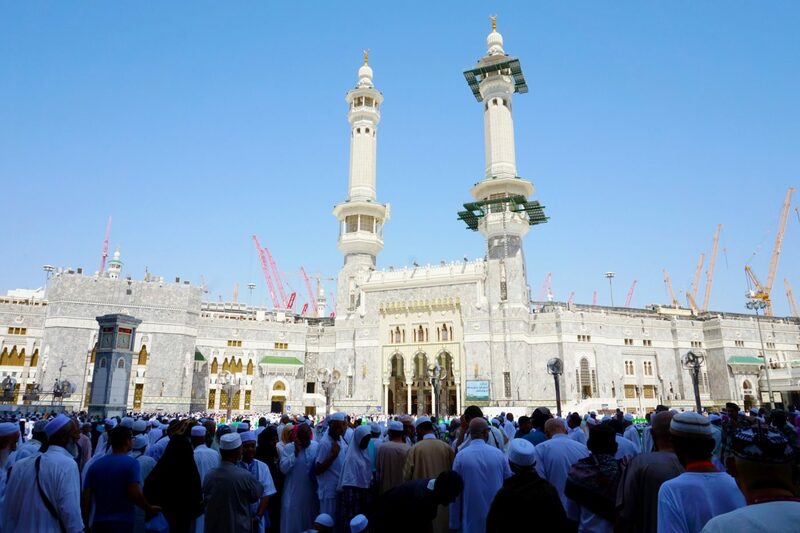 Wearing special Ihram clothing, pilgrims from across the Muslim world flow through the mosque’s multitude of gates to fulfill the fifth pillar of Islam. The world’s largest mosque never sleeps. 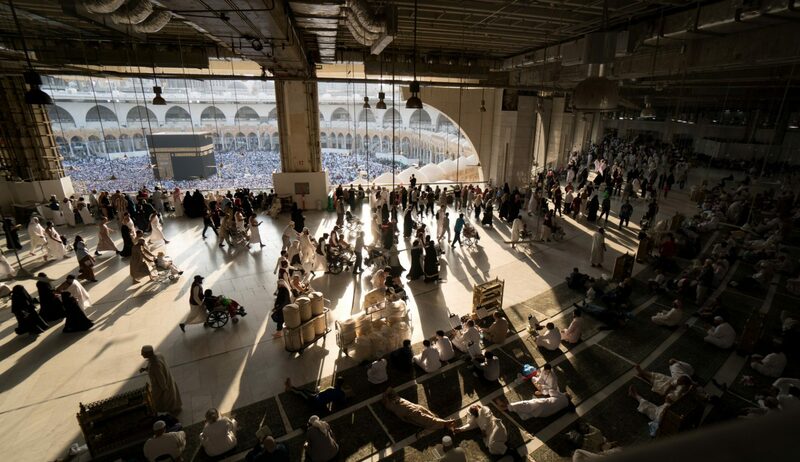 At all hours of the day and night, disciples can be seen walking counter-clockwise around the Kaaba and praying. During the day, sunlight glimmers from white stone floors, marble arches and gleaming domes. At night, the mosque is flooded by lights, gracioucely illuminating minarets that stand to watch over each gate. 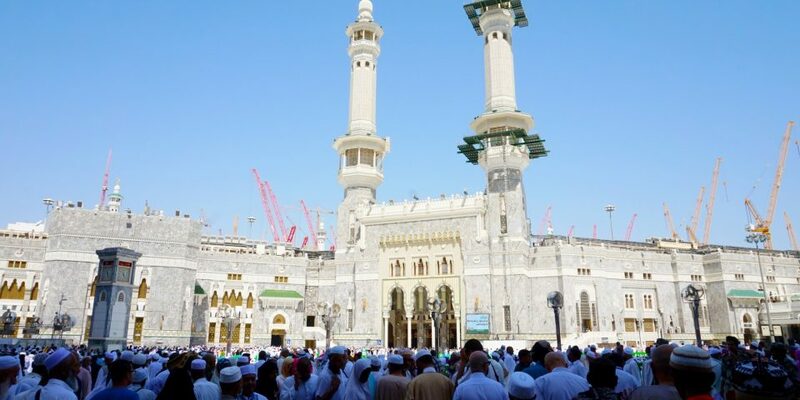 This sight is spellbinding, whether beheld from within the enormous inner courtyard or from high above in the towering Abraj Al Bait complex nearby. Adding to the transformative experience is the realization that you no longer need to know the Qibla (direction of Makkah) before praying. 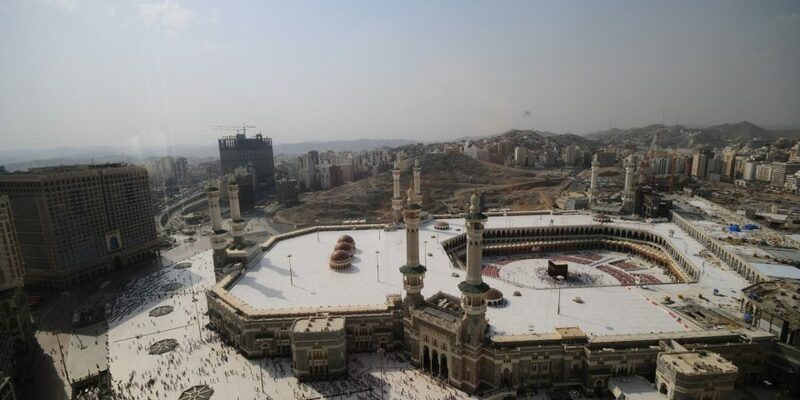 Simply look to the cloth-draped Kaaba at the center of the courtyard. You are in the presence of Allah (SWT) in Al Masjid Al Haram. The mosque has been expanded, rebuilt and renovated over its long history. Construction began in the 7th century (Gregorian calendar) under Caliph Omar Ibn al-Khattab. To accommodate a growing number of pilgrims, he demolished buildings around the Kaaba and erected a wall. In 777, Abbasid Caliph Al Mahdi had the original mosque torn down, along with surrounding structures. In their place, he built a larger mosque based on a grid plan. Many of today’s buildings date to an extensive renovation that was done in 1571. Most of the wings and extensions of Al Haram date to the 1950s or later. King Abdulaziz Al Saud initiated the expansion efforts, followed by King Fahd. King Abdullah Ibn Abdulaziz was behind a plan to greatly increase the mosque’s capacity from about 800,000 worshipers to 2 million. A fourth extension project, under the current King Salman, adds air conditioning to all enclosed areas and enlarges the northern section. 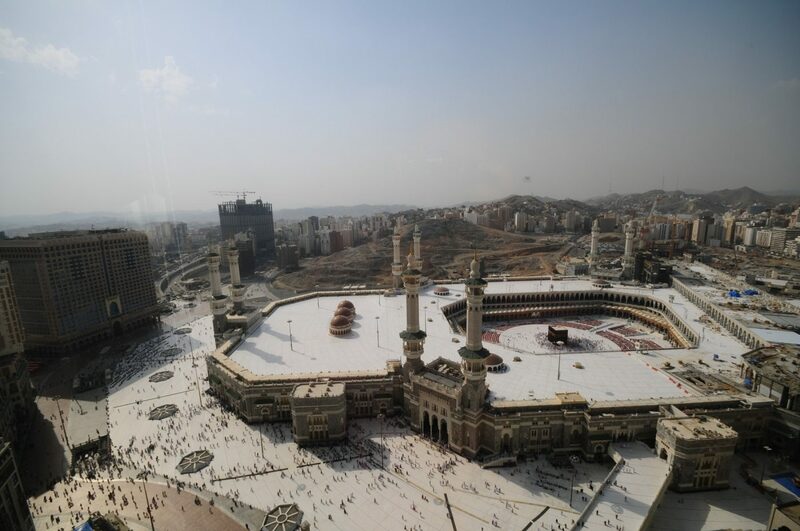 When construction is complete, slated for the year 2018, the world’s largest mosque will accommodate 2.5 million people and span 756,000sqm (187 acres).